If a Maori looks at you, he primarily sees the representative of a long chain of ancestors who are standing behind you. When Gina said that to me I was thinking of that old school video clip of Michael Jackson, where he is followed by a long snake of figurines of himself. Do you remember this one? Maori are very conscious of the fact that they could not exist without their parents. This is constantly emphasized during the marae ceremonies. These are not really comparable with the ceremonies in a church. From the view of an outsider the ceremonies in a marae looks less strict and formal. More friendly and merry. For example; if it’s a cold outside everyone will enjoy sitting inside at the marae against the walls on mattresses and in the middle is done what should be done. And please not too long because afterwards there’s provided a nice lunch. A Maori has no problem to win a pakeha as spouse or get married ‘in a white family’. It is not seen an increase or decrease of status, like in a lot of other countries. In previous centuries the Maoris were interested in marrying foreigners to bring overseas knowledge in their tribe. But nowadays that advantage is elaborated. Being the white member of the marriage there is no need to adapt a new religion or break with your family, like also is obliged at some religions. 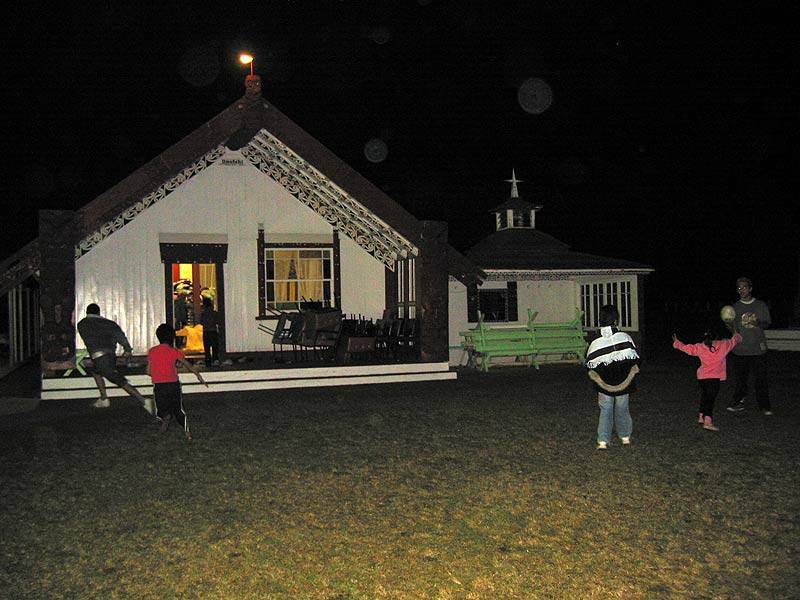 Even better: they are pleased to build a tiny mini church beside the marae, if you feel the need to do your own ceremonies. And then; how blond the offsprings may be, as long as there exists a Maori blood line the child is linked to Maori ancestors. Exactly the same as a “real” Maori child. Blood lines goes beyond skin color. That’s not to say they deny skin color. Certainly not. A person’s race is simply called by name. No politically correctness here, because it is not a term of abuse. You are brown or you’re pink ?! And you have a special hook-nosed? The fact that there is no so-called mitigating term for a person’s race, shows that one party does not feel inferior to the other party. That applies to both sides. Maori are proud of what they are, but being proud doesn’t mean they have anything against the other. This is very hard to explain in the Netherlands. Dutchmen has difficulties to handle the word ‘pride’ if it is used in relation to country or heritage. 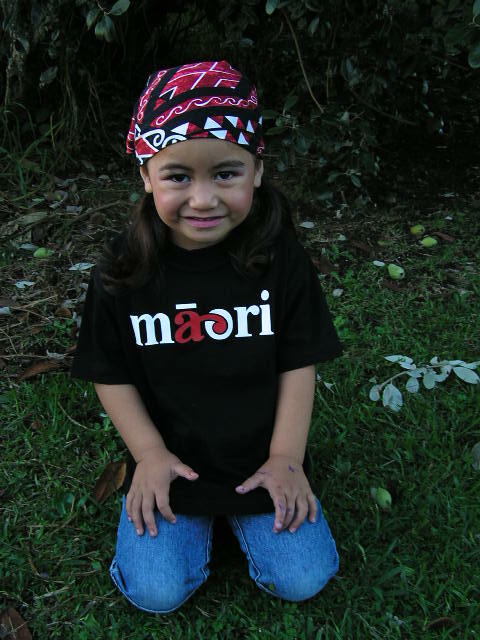 At first I thought the word MAORI printed on hats, t-shirts and suspenders was something folkloric, something to sell in the tourist shops, but it is not! Maori’s are wearing it all the time. Can you imagine a white Dutchman in the Netherlands wears a t-shirt with the word “DUTCHMAN” printed on it? No. In some weird way that’s not done. At the other hand: Here I cannot explain that in the Netherlands you get frown brows, if you are wearing a patch of the Dutch flag on your clothes. In the Netherlands the word pride (country or heritage related) is too much interpreted as “I’m better than you”. This entry was posted on 23 May 2007, in PERSONAL LIFE POSTS and tagged life in new zealand. Bookmark the permalink.